Somedays, I can't wait to get home and crawl into my pj's. And with fall and daylight savings time encroaching on the last few weeks of summer, I see a lot of early pj evenings in my future. Sad, but true. I digress. Le sigh. 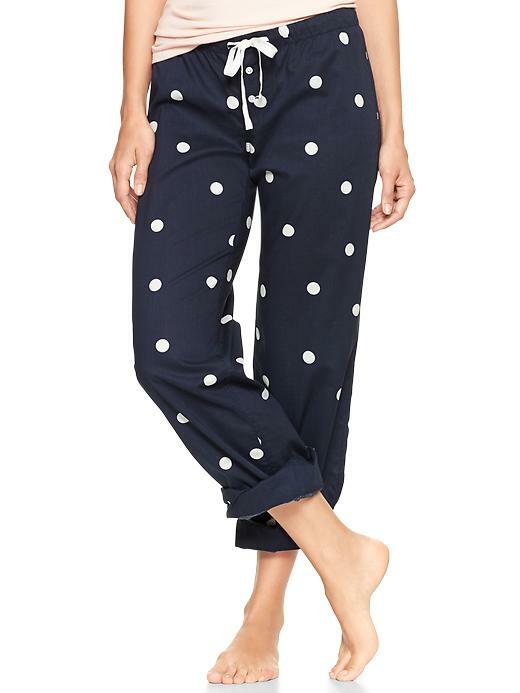 Gap has some darling sleepwear and loungewear this season. I love night shirts and night gowns but oddly enough, I don't have many in my collection. I'm thinking I will have to change that. How cute are these polka dots? And aren't these gingham shorts fun? Perfect for the transition from summer to fall. And more polka dots. I love them! These also come in a few other colors. I've never been much of a romper kind of girl but this one is super cute and seems comfortable. And how comfy does this robe look? 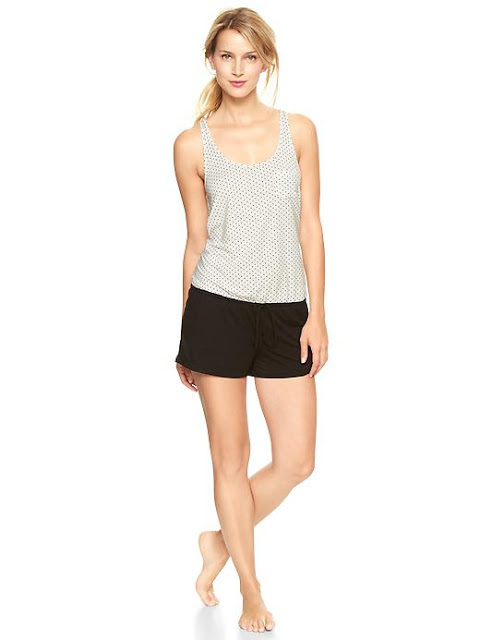 What's your preferred sleepwear? Are you loving all these polka dots from Gap? Here's wishing you a happy Wednesday! Soo darn adorable! That robe is too sweet, and I can NOT resist cute boxer shorts for sleep-- I just layer them with leggings when it gets too cold! I never invest in cute sleepwear as I have tons and tons of sweats... but your post just totally changed my mind. I MUST have those gingham shorts and those polka dot pants. Update: The shorts are on backorder until OCT 20 but I just purchased those pants. Thanks again for sharing!